Students are eligible for the Vice President’s Honor Roll by achieving a GPA of 3.5 while carrying at least 12 hours. Part-time students are eligible if they have maintained a 3.5 GPA for two consecutive semesters. Listed below are the names of students who’ve met this criteria at the end of the Fall 2016 semester. Raad Abbas, Rahman Abdul, Yapi Abouo, Noran Abueisheh, Ernest Abunaw, Amy Adamson, Morgan Adkins, Dakota Ake, Jeff Akers, Bildad Akom, Emily Akridge, Rana Al Amaireh. Ahmed Alamer, Ahmed Alarfaj, Eissa Alawwas, Melissa Aldaba, Hussain Aleid. Chasity Alexander, Ariah Allsman, Hashim Almurwahan, Arturo Alonso-Sandoval, Ashley Alqatou, Victoria Alvarado, Doua Alzawad, Kaveh Amoorpour, Marianna Anderson. Laquita Anderson, Kala Anderson, Jarod Andrews, Lucas Argo, Miriam Arguello. Mobio Atsin, Shylen Aufieri, Nicholas Aufiero, Damira Aviltai, Katie Avino, Saad Ayadi. Berrada Canaan Bagg, Sierra Bailey. Abby Bailey, Taylor Baker, Brittany Ball, Danielle Ball, John Balog, Shashwat Bam, Joanna Baquera, Amber Barnes. Alexander Barr, Dustin Barrett, Daisy Barrios, Destiny Barton, Brandi Bates. Callie Beckham, Kathryn Bell, Ashley Bender, Garret Bennett, Christopher Bethke, MacKenzie Bevins. Rachel Bigham, Marshall Bingham, Kristie Birkes, Shea Black, Shelbie Black. Aaron Boggs, Maya Bohora, M Dede Annick, Bohouo, Parker Bolles, Richard Book, Kaitlyn Bottoms, Lisa Boudreault, Nickolas Bovard. Katelyn Bowser, Rebekah Bradley, Delaney Brand. Zachary Branham, Lisa Brdecko, Autumn Breedlove, Crystal Brightwell, Heidy Briones, Allison Brogden. Sheila Brooks, Jennifer Broussard, Kaylee Browder. Morgan Bryant, Lauryn Bryant, John Bryant. Morgan Buchanan, Treva Buchanan, Quynh Bui. Danielle Burk, Jenna Burke, Dominique Burnett, Hailee Butts. Chelsey Caballero. Bryndan Callaway, Patrick Campbell, Kellie Campo, Jerry Campos, Thao Cao, Taylor Carney. Caleb Carpenter, Faith Carson, Marissa Carter. Gildardo Ceballos, Michael Chandler, Adam Chaney, Phonethira Chansombat. Ashley Charette. Lee-Landra Charley. Cheyenne Cheatwood, Ahmed Cheema, Dawei Chen, Patrick Chevis. Christopher Chhim, Madison Clapp, Tyler Clark, David Clawson. James Clawson, Shelby Clay, Cassidy Climer, Mickey Cochran. Cassandra Colebank, Charles Coleman, Coleman Collins, Devan Conley. Crystal Conner, Ciera Cooper, Jennifer Corbett, Steven Corpus. Branden Coszalter, Megan Cox, Jasmine Craig, CharlesCramp. McKenzie Crim, Daniel Crim, Kristen Cronin. Cameron Cross, Crystal Crowe, Alexis Cummings, Alicia Cusick, Gabrielle Custer. Rachel Custer, Morgan Cutter, Erica Czarneski. Colleen Daly, Elizabeth Dang, Janette Daniels, Melanie Dartez. Ashley Davenport, Kara Davis, Brock Davis, Andrea Davis, Austin Davis, Satin Deer. Grant Denison, Paula Denny, Dallas Diamond, Getsemani Diaz, Raven Lockie-Diaz. Rosanne Diaz, Jeremie Dimouti, Tung Do, Nam Doan, Mandy Dollar. Savanna Drummond, Carlin Dugan, Alen Dugger, Brookelynn Duke. Jeri Dunlap. Nam Duong, Amanda Edmondson, Gael Brice Effa, Bikoun Loveth Ehimen, Fatima Elawam. Courtney Eldridge. Makayla Elliston. Lea Engel. Johnny Enriquez, Linda Espinosa, Mayra Estrada, Emmanuel Ezia. Erica Fansler, Stephen Ferguson, Kelly Ferris, Erika Fierro, Destiny Fitzgerald, Emery Fleming, Diana Flores. Kaitlyn Flores, Amanda Fosnight, Ashley Franco, Shelby Franklin, Amanda Freeman, Hailee Freeze. Austin French, Nanatte Fri, Angela Funkhouser, Angelina Gallegos, Cintia Gaona, Stefanie Garland, Lisa Gates. Angelica Gearhart, Joshua Gentry, Mary Gibbons, Emma Gibson, Tanner Gibson, Shanna Gill, Clifton Gillespie, Brandi Gilliam. Kevin Gilliland, Evan, Girard, Haylee Glass,Tyler Golden, Karlie Golden, Neoshia Golson, Anacely Gomez, Kristi Gonsalez. Elena Gonzalez, Terrie Goodson, Dahlly Goodson, Victoria Gordon. Gina Gottschalk, Natalie Goudeau, Trey Gourley, Ryan Green, Edward Gregory, Alyssa Griffey. Matthew Guerra, Azfar Gul, Sydnee Gunter, Brooke Gunter, Luis Gutierrez, Karen Gutierrez, Amber Guzman, Rachel Hackney, Gladys Haizel-Gyekye. Tyler Halbert. Alyson Halcomb, Amanda Haley, Ryan Hamann, Yaqin Hamdan, ,Dax Hannon. Abdalnasser Hannoon. Connor Harmon, Ryan Harrington. Caitlin Harris, Kelly Hayes, Melissa Head. Paige Henderson, Colby Henderson, GisselleHenriquez, Chase Henry,Phillip Herman. David Hernandez. Elizabeth Hester. Victoria Hidalgo, Michael Hilliary, Charlene Hines, Hoa Hoang. Hunter Hodges, Sierra Hoff, Kevin Hollcroft. Samantha Hollis, Krista Holloway, Erin Horning, Brooklin Hoss, Nicholas Houlette. Catherine Howell, Ty Howell, Cheng-Hsun Hsieh, Nathan Huddleston. Kacey Huffty. Katelyn Hughes, Hunter Hughes, Nicole Hulic. Christopher Huynh. Feryal Ighani, Danny Irvin, Shyan Isaacs, Taelor Ivie. Caleb Jackson, Sean Jackson. Collin Jacobson, Brianna Jarboe, Allyssa Jaynes, Logan Jeffcoa, Stephanie Jenkins, Reagan Jennings, Mario Jimenez, Lisa John, Alex Johnson, Talonne Johnson, Nichole Johnson, Bryton Johnson, Lesley Johnson, Tomara Johnson. Jane Karanja. Barsha Katwal, Sabina Kc, Reagan Keller, Makalyn Kellogg, Hailey Kelly, Ashley Kelly, Kristin Kenney. Marciya Khosravinejad. Darrian Kidder. Jeffrey Kime. Ines Kindelan, Randy King, Kimberly Kinnaman, Julia Kinzer, Trystyn Kirby, Kanon Kirchner, Kaytlynn Kirk, Christopher Kitchen, Kristen Klingensmith, Donna Knight, Magdalene Kokunga. Jason Kolberg , Alicia Komppa, Sixma Kouch, Warapat Krasaetanont, Wasupon Krasaetanont. Smriti Kunwar, Simran, Kunwar. Blake Lail, Tran Lam. Caitlynn Land, Jessica Landmann, Briana Landry, Lisa Lane, Charles Langley, Nathan Larrinaga, Emily Lathrop, Corley Laub, Tri Le, Gia Bao Le, Jon LeMaster. David Lee, Nicole Lee, Ethan Lee, Samuel Lee, Daniel Lee, Faamanu Lefiti, Chrystal Lemay, Joseph Lemque, Rachel Lemser. Saman Lesani, Jiawei Li, Chia-Yu Lin. Dustin London, Jing Long, Steven Lopez, Jazmin Lopez, Miranda Lopresti, Jesus Lugo, Chau Ly. Rachel Maag, Connor MacPhee, Brenda Macias, Tia Madl, Chinonyelum Maduka, Misty Mahan, Maarij Mahmood, Tabitha Malacane, Zobia Manaf. Almas Manaf, Sajani Manandhar, Robert Manley, Maria Marroquin Espinosa. Jesse Martin, Tiffany Martin, Gloria Martinez, Estefania Martinez, Mayra Martinez, Lorena Martinez, Christina Mason, Dakotah Matthews, Allyson Mauldin, Rebekah Maurer, Rebekah Maxwell, Alan Maya. Stephen McDonald. Rachel McGee, Cody McGlone, Derek McGuire, Justin McKee. Jordan McLaren, Aaron McLean , Erin McManus, Yuka McMillan. Ian McUsic, Matthew Meason, Terra Melton, Karla Mendez Soria, Brendalynn Meredith, Ivan Merendon, Daniel Merino, Kristin Merritt, Amanda Mersman, Matthew Meyer, Lindsey Meyer, Jennifer Mikel, Chance Miller, Allison Miller, Bjorn Miller. Garrett Mills, Jason Mills. Emily Mitchell. Brian Monevilay. Francisco Monsivais, Miguel Montelongo, Jeffery Moore, Noe Morales, Kaitlin Moreno, Joshua Morrison, Kristi Morrow, Robert Morse, Camden Moses, Lamia Moss, Sean Mulqueen, Jessica Murray, Markus Muse, Brenda Muttai, Jason Myers. Trevor Nault, Samila Neba, Kylie Newey. Benjamin Newton, Naomi Ng’ethe, Phuc Ngo, Maide Nguyen, Tony Nguyen, Oanh Nguyen, Chris Nguyen. Phuong Nguyen, Julie Nguyen, Sidney Nguyen. Nhan Nguyen , Nghi Nguyen, Christy Nguyen, Diem Nguyen. Jazmine Nichols, Caitlin Nichols, Michael Nipper, Amrita Niroula, Kecy Nji, Sylvester Njoku. Jude Nchapanu Nkangu, Grant Nordean, CourtneyNowlin, Adella Nunez. Shawn O’Dell, Catherine O’Neal, Eyere Obi Vera, Fahad Obin, Emerson Oden, Angelina Oeur. Palmer Ohene-Nyako, Juan Ojeda, Patrick Olson, Kolten Onyshczak. Shae Orcutt-Richardson, Saidy Orellana, Angela Ortega, Bilikis Oseni, Phillip Ottman, Kayli Owens. Kathryn Painter, Kristina Paliwoda, Rachelle Palmer, Rahulkumar Panchal, Tha Par, Jae Park, Kristal Parker, Kristin Parks, Alan Pate, Jess Pate, Suhani Patel, Milan Patel, Shaun Patrick, Manisha Paudel, Jose Payan, Skyler Payton. Rudy Pecina. Daniel Pedraza, Miguel Perez. Tiffany Perkins, Tessa Perkins, Marlo Perry, Ashlyn Perryman, Preston Petillo, Tiffany Pham. Derek Pham, Tan Pham, Quynh Pham, Huong Pham, Yen Pham, Tam Pham, Chloe Phelps, James Pierce, Michael Pierce, Michael Pino, Paige Pipher, Sophia Pool, Laura Post, Sarah Powell. Victor Pozadas, Ashish Pradhan, Ryan Premont, Rebekah Presley, Shawntae Price, Kacy Price, Chiane Puckett, Megan Pyatt. Yuhong Qian, Fabian Quezada, Tram Quynh. Israel Ragle-Tullis, Heather Rains, Kiona Ramirez, Karen Ravia, Joe Rayos. Katie Redman, Taylor Reeves, Marshall Reisdorph, Juan Rendon, Santiago Restrepo, Bethes Rosa Reyes, Nancy Reyes. Ann Margaret, Rice, Shaelynn Richards, Tiffany Richardson, Joshua Richardson, Tyler Ricks, Michaela Riley, Luis Rios, Michael Ritchey, Misty Ritter. Gage Robb, John Roberts, Dylan Roberts. Chaz Roberts, Tracy Robertson, Jenna Robertson, Kylee Robison, John Rocks, Dalton Rodman. Lina Marcela Rodriguez Quintero, Justin Rogers, Anita Rojas, Vicki Roosa, Benjamin Roper. Sasithorn Ruangpichit, Daisy Ruiz, Chloe Ruiz. Marysol Saldana. Beau Salois, Bushra Salous, Sulaiman Salous, Nour Salus, Ebony Sample. Kellis Sananikone, Claudia Sanchez, Keely Sanchez, Sage Saner-Burrell. Elvin Santizo. Derek Scarsella, Alexandra Scearce, Tim Schneider, Jonah Schoenborn, Ashtin Schones, Leslie Scott. Jacob Shaughnessy. Kimberly Shealey, Thade Shell, Ngawang Sherpa, Dawa Sherpa, Sarah Shirk, Katherine Shreves, Manuel Silva. Stevana Simmons. Jessica Simmons, David Simmons. Hanna Slaymaker, Dolly Smith, Christina Smith. Michael Smith, Brandy Smith, Abigail Smith, Austin Smith, Easton Smith. Alexandra Somerhalder,Tim Song, Christian Soto, Jair Soto, Shelby Soto. Salomon Soto-Urbieta, Talia Sounantha, Travis Souther, Kyle Spear, Heather Stacy, Rachel Staley. Matthew Stanton, Hannah Stark, Donald Stephens, Kathryn Stewart, Caitlyn Stiltner, Jagger Stingley, Chrissy Stroud, Paige Stuart, Allison Stuckey. Pratik Subedi. Christina Sundly, Brooklyn Suttle, Myles Swaner, Payton Swanson, Kristi Szczerbacki, Stalder Talley, Jorge Tapia. Marcos Tavarez. Stephanie Taylor, Bibek Thapa, Su Cheen Theng, Michaela Thomas, Savannah Thompson. Phillip Thompson. Zachary Thompson, Levi Thurman, Melkamsew Tiruneh, Terri Toles. Lisa Torres, Brian Tran, Kimmy Tran, Daniel Tran, Quyen Tran, Quyen Truong, Anh Truong, MinChia Tsai, Derek Tunstall, Ladaisha Turner, Manatsu Ueno, Jason Upton. Larisa Valdez, Jenna Valentine, Kellee Vanhook, Charito Vargas Ramirez, Kara Vaughan, Shaughan Vaughan, Hercules Veneris, Carrie Vickers. Utsav Walters, Milliet Wanji, Kendall Ward, John Webb, Brashe’ Webster, Demetria Webster, Alexa Webster. Allison Wenthold, Zachary West, Jordan White, Tristan White, Ashley Whited, Chloe Wichryk, Kyle Wierick, Kristia Wilkerson. Pamela Williams, Amber Williams, Darby Williams, Amelia Williams, Alycia Williams, Emily Wilson. Annastayzia Wilson, Marlayna Wilson, Stefani Winter, Carole Wokmeni, Kameni Amanda Wood, Bryan Woodard. Veronica Woods, Arden Woolum, Corey Wozencroft, Noah Wren, William Wright, O’Che Wright, Malia Yahola, Aaron Yelloweagle, Hyou Yoon, Hao Yu. Farah Zabin. Dakota Zachary, Maria Zapian Maynez, Ruiyi Zhang, Bendee Zuck, Josiah Zupan. Students named to the President’s Honor Roll will appear in the next print edition of the Pioneer, available on stands Friday, Jan. 27. 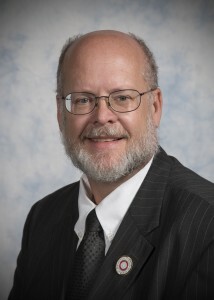 Mr. Greg Gardner, Acting Vice President for Academic Affairs, is the senior administrator with responsibility for the Vice President’s Honor Roll.